Our vision is to create an inclusive welcoming environment that inspires students and staff to address important current and future challenges facing society using physics. - Demonstrating insightful applications of physics. The School believes in research-led teaching. Its teaching programmes are strongly influenced by the expertise of research–active staff who are fully accessible to students. Our specialisations have evolved to be aligned with astronomy, climate change, and medical physics. 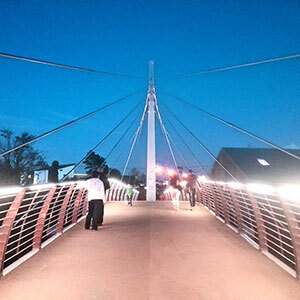 The impact we make in these areas is greatly enabled by photonics –the ability to harness light. The School also benefits from theoretical physicists located in the neighbouring School of Mathematics, Applied Mathematics and Statistics. We are proud of a culture of values where every student matters. We value undertaking learning, teaching and research responsibly. We value research that informs graduates who make contributions regionally and internationally. Physics is a fundamental building block of science and engineering. Physics provides the toolbox that help us understand the basic laws governing the structure of matter, the nature of energy and the physical forces that form our world. Physics encompasses the science of short-range forces operating inside the nucleus of an atom and explains the origin of gravitational waves that determines the structure of the universe. In years 1 and 2, our IOP accredited undergraduate programmes (GY320 and GY301) principally teach classical physics –developed by scientists such as Isaac Newton and James Clerk Maxwell. In years 3 and 4, teaching progresses to consider Quantum Physics and Relativity, pioneered by scientists such as Max Planck and Albert Einstein. The ability to understand matter as waves and waves as particles is increasingly important in future technologies; this is often the most significant differentiating factor between engineering and physics. The School combines both research and teaching in the same location. The School has expertise in observational astronomy that extends across the full electromagnetic spectrum; this enables our scientists access the best telescopes available in the world. In climate change the School manages Mace Head –one of 31 global atmospheric watch research stations on the planet. In biomedical physics, the School operates the only CAMPEP (Commission on Accreditation of Medical Physics Education Programs) accredited MSc programme in Europe that enables graduates to operate as Medical Physicists in Hospitals throughout North America on graduation. Teaching in the School of Physics is strongly influenced by our research based in our three research clusters: Astronomy, Biomedical and Climate, Ocean & Exposure Science . Physics is challenging, interesting, relevant, and it can prepare you for great jobs in a wide variety of places. 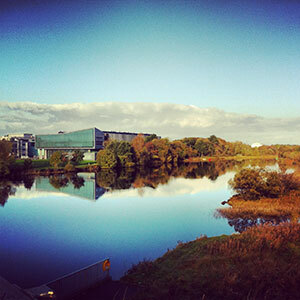 Why not pursue a physics degree with us here in NUI, Galway and let us share our knowledge and enthusiasm with you? From day 1, you can follow a direct path to obtaining a degree in Physics by registering for our denominated programme GY320 (which has degree options in Applied Physics, Astrophysics, Theoretical Physics and Biomedical Physics) or you can keep some flexibility in your subject choices by registering for Undenominated Science GY301. People study physics because they are curious about how the universe works. Some students seek to apply their fundamental knowledge of physics to solve the grand societal challenges that face the world such as how to create clean and efficient sources of energy, how to better use the planet’s limited resources, how to develop smart green integrated transport, how to transmit and store information securely, how to produce sustainable food safely, or to deliver better healthcare for a growing and increasingly elderly world population. Some aspiring physicists are keen technologists –eager to develop the technologies that enable the next big breakthrough –in Advanced Materials & Nanotechnologies, Micro-/nano-Electronics & Photonics, Advanced Manufacturing, Artificial Intelligence and Security & Connectivity. 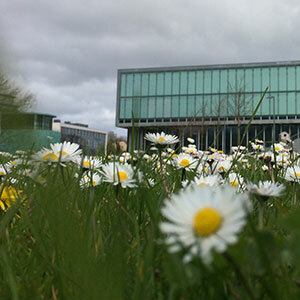 The School of Physics in Galway prioritises its activities where key enabling technologies address the grand societal challenges of the future. A laser-enabled printed electronics and printed biomaterials manufacturing test-bed proposes to create optically, electrically, and thermally activated medical devices. Experts in geometric optics apply their expertise to evaluate new technologies at the European Space Agency. Our astrophysicists are members of international collaborations (I-LOFAR, VERITAS, JCMT, ESO) seeking to advance knowledge in modern astronomy. The School of Physics provides Structured PhD, Taught Masters, Masters by Research, Full-Time or Part-Time training programmes that are highly relevant to future environmental, technical, and productive / economic global challenges. Research in medical and bio-physics underpins new technologies in healthcare and occupational health. Research training in these areas is complemented by advanced discipline-specific courses and extensive training in generic and transferrable skills. 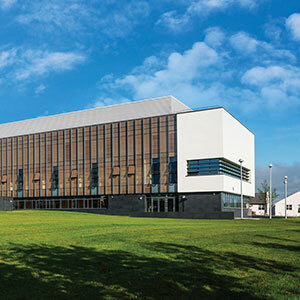 The School of Physics offers four taught masters programmes: Medical Physics (MSc), Occupational and Environmental Health & Safety (MSc/HDipAppSc, Full-Time or Part-Time), Key Enabling Technologies (KETs, (MSc, Full-Time or Part-Time)) and Astronomical Instrumentation and Technology (MSc, Full-Time or Part-Time). 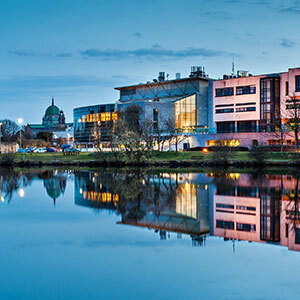 In 2013, NUI Galway’s School of Physics’ work in promoting equal opportunities in science was rewarded by the Institute of Physics: the School has been made a Practitioner under the Institute’s Juno Project, the first university in Ireland to achieve this status. 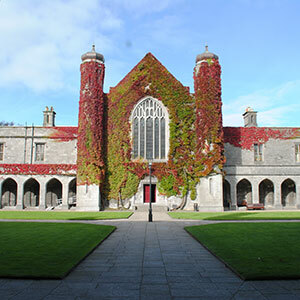 If you are currently enrolled at an overseas college or university and you wish to spend a semester or year at NUI Galway as a Visiting Student, you can apply through your home college’s Study Abroad office or through an approved study abroad programme provider. 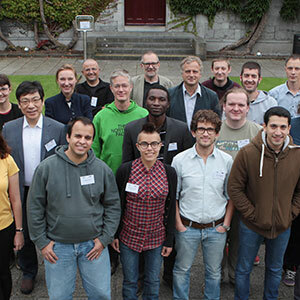 Currently NUIG School of Physics hosts students from Science Without Borders, Erasmus and US exchange programmes. Contact Matt Redman for details.